I designed an open-source 3D printer in IronCAD in my early college years. I wanted to utilize as much baltic birch and 3D printed parts as possible to get a machine as cheap as a Prusa i2 yet had all the "advanced" features of the Makerbot Replicator— both of which were state-of-the-art for hobbyists at the time. Despite many poor design decisions that now appear glaring to me, I do believe that I probably could have gotten some great prints out of it had I not been so poor and busy at the time. 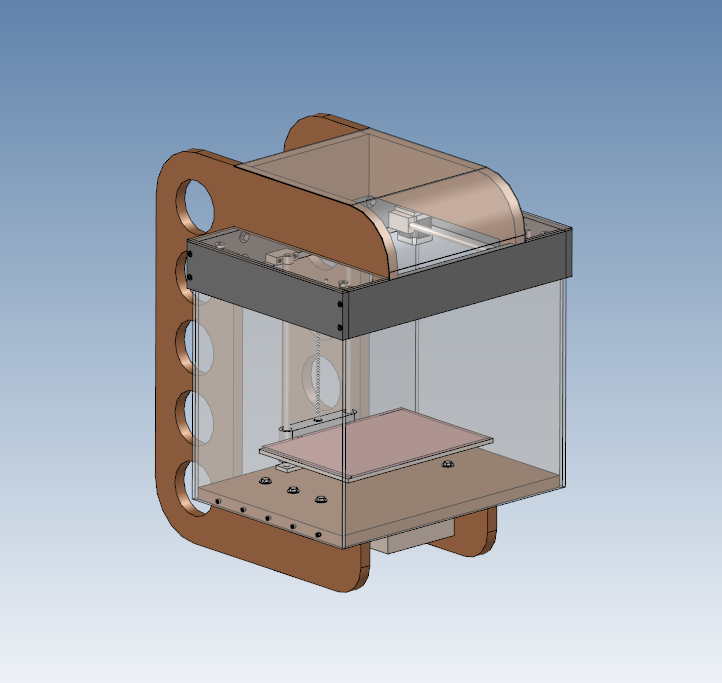 Check out the information here on the RepRap wiki site.